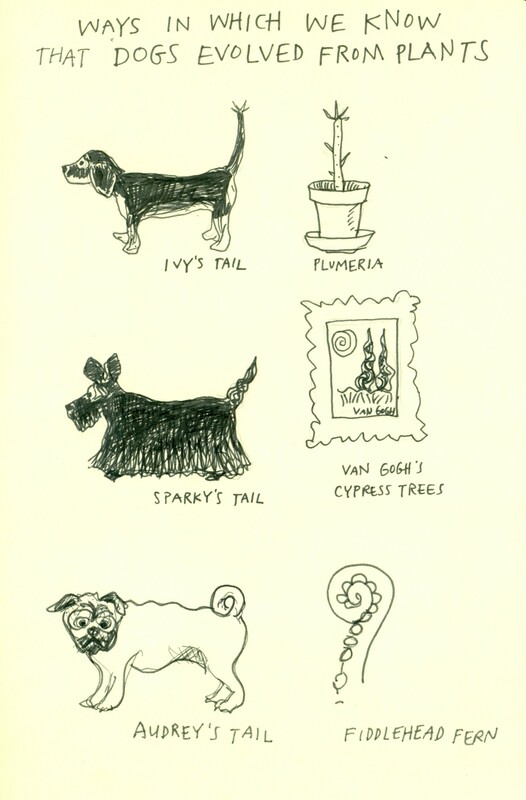 The similarity between our neighbor’s dog Sparky’s tail and Van Gogh’s cypress trees is what got me going on this. I have a list of more examples to draw once I get around to it. For instance, we have a weeping Katsura tree that bears a striking similarity to a shih tzu’s ponytail.